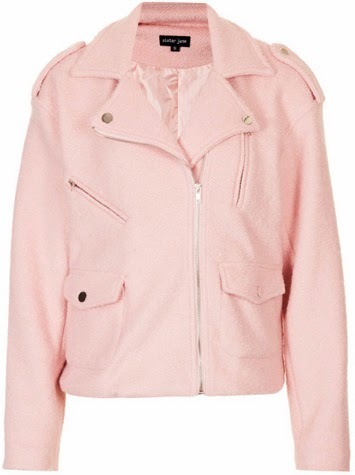 At a San Francisco tech conference yesterday I witnessed the greatness of a pink wool biker jacket kind of like this... only I think this one is even better! This is my kind of outfit! Must get all!